AHWC Immigration Law is a full service immigration law firm and we specialise in all aspects of Australian immigration law. AHWC Immigration Law was established in 2010, and currently has a team of six Registered Migration Agents and three solicitors, two of whom are also Registered Migration Agents. One of our Registered Migration Agents is also a Chartered Accountant and one is a former Registered Nurse. We have offices in Sydney and Melbourne, and have clients worldwide. We are a full-service immigration law firm, and we solve our clients’ migration problems by providing sound, reliable and accurate migration advice, excellent client service, and outstanding results. 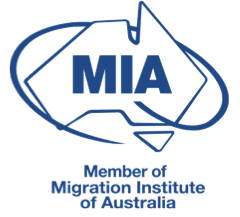 We have a wealth of experience in all visa types, and particularly employer sponsored visas (Subclass 457, 482, 186, 187, 400) and in Skilled Independent Migration (Subclass 189), State Nominated visas (Subclass 190, 489), Partner Visas, Parent Visas (Contributory and Non-Contributory) and business visas (Subclass 188, 888, 892). We act for many clients at their Administrative Appeals Tribunal reviews, appeals (judicial review) to the Federal Circuit Court and Federal Court and in other matters such as health waivers, character, citizenship and other issues. We are a collegiate, reliable and friendly team and we love what we do. Except for one of our team members, we are all migrants ourselves. This enables us to be compassionate and empathic, and fully understanding of the stress and anxiety that the migration process causes. As a result, one of our missions is to make the migration journey as stress free and worry free as possible. Our client cohort ranges from large corporate clients (e.g. 7-Eleven, Grill’d, Koko Black, Qinetic, Australian Venue Company), major construction firms, small businesses, individual applicants, high net worth individuals, and allied health, nursing agencies and medical practices. We have advised and assisted medical practitioners, registered nurses, dentists, physiotherapists and other health workers with registration, visa applications and the ancillary requirements for visas such as police certificates, medical examinations, skills assessments etc. We have significant experience in employer compliance with the Migration Act and Migration Regulations. We have drafted compliance manuals with respect to franchisee/franchisor obligations to visa holders, and we have advised employers in relation to general employer compliance e.g. sponsorship obligations, and employment obligations. We accept referrals from other Migration Agents, especially on appeal (merits and judicial review), character and health waiver matters, and we have also advised several mid-tier law firms with respect to general migration advice, and obligations of employers under Labour Agreements. We also act pro bono for referred protection visa applicants, and clients requiring health waiver submissions, who find us via the community legal centres. We invite you to have a look at our testimonials – you’ll find other people blowing our trumpet!